Our Loyalty Paks are convenient monthly shipments of our popular products at a significant savings each and every month! 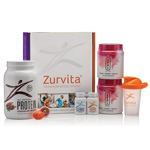 Order two each month for even more savings...mix up your flavors or get one of each! If you are interested in our other Preferred Customer products, simply click 'No Thanks' on the bottom of the page to view our full Preferred Customer product line. Our all-in-one nutritional drink mix by the scoop. 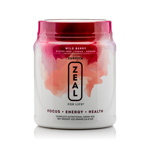 Our Zeal Loyalty Pak includes a 30-Day supply Zeal canister and 12 Zeal single-serving bottles. This means your monthly 12 single-serving bottles will be FREE! Or choose a MATCHED pak where the canister and the 12 single-serving bottles are all your same favorite flavor. **Please Note: Guarana Free is not available in single-serving bottles so orders for Guarana Free canisters come with single-serving bottles that contain Guarana..
Would you like to order a second pak? Take this opportunity to add another pak now and increase your savings!